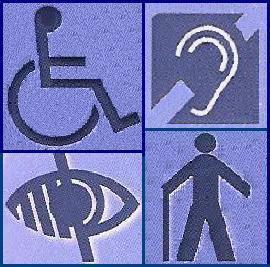 DDA and the development of an inclusive environment. Our Access Audit reports will highlight areas of concern, provide prioritised recommendations, and set these within a realistic time frame compatible with your core business. Undertaking an Access Audit is the first step in ensuring your services and facilities are accessible and, when coupled with evidence that you are planning for the recommended changes, is likely to be looked upon favorably by the courts in the event of your being challenged under the DDA. Clearly undertaking an ‘Access Audit’ will enable an organisation to understand how accessible it’s services and facilities are and, by combining this with an ‘Access Statement’ showing that you are planning for the recommended changes, it is likely to be looked upon favourably by the courts in the event of your being challenged under the DDA. This is a very popular and cost effective option for small organisation, and is frequently used by larger organisations as a precursor to larger audit projects. Our Overview Audit is a ‘Walk and Talk’ audit through an environment with key representatives of your organisation to identify barriers to access and discuss possible solutions, but no report will be provided. For any organisation considering the leasing or purchase of a property an acquisition audit will identify any physical adjustments that may be required. Typically this information is useful when negotiating terms with freeholders, managing agents or sellers. It should be remembered that it is the service provider or employer who is responsible for the costs incurred in meeting the obligations and duties of the DDA, and that these costs can be significant. When transferring staff with disabilities to a new building the Acquisition Audit would typically involve discussions with the individual. In response to requests from clients with large numbers of buildings to audit we regularly develop an ‘Access Audit Tool Kit’ for use by internal staff, and support these with in-house training and quality assurance events. This option enables the efficient and effective auditing of large estates whilst developing an awareness of disability issues within the organisation. Most clients taking up this option combine it with our ‘Help Desk’ service. We provide a service whereby we work with architects and designers reviewing drawings for new build projects, refurbishment proposals and fit out specifications.